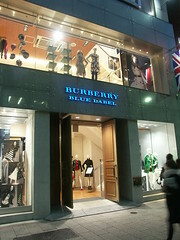 Available only in Japan, Burberry Blue Label features clothing that’s more fitted and sassier. 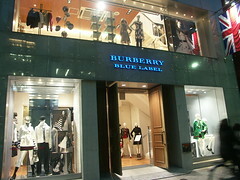 Humm, this store at harajuku is a new branch and apparently it’s not listed under ‘store locator’ in the burberry blue label website. This entry was posted in Travel and tagged おもてさんどう, BBL, BLACK LABEL, BLUE LABEL BURBERRY, Burberry, 聖地, 藍標, 血拼, 表參道, 購物, 路線, 黑標, flagship, Harajuku, Harajuku shopping lanes, Japan, Laforet, main street Omotesando, Omotesando district, Omotesando Hills, Omotesandō, Shibuya, shopping, Tokyo, tour, Travel, 出國, 原宿, 地點, 地圖, 指示, 採購, 敗家, 方向, 旅遊, 旗艦店, 日本, 明治通, 東京, 渋谷区神宮前 6-18-12, 澀谷. Bookmark the permalink. 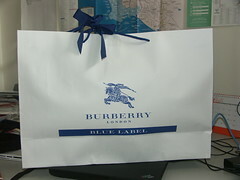 Pingback: burberry blue label - 好站搜尋"burberry blue label"